It seems likes such a no brainer. 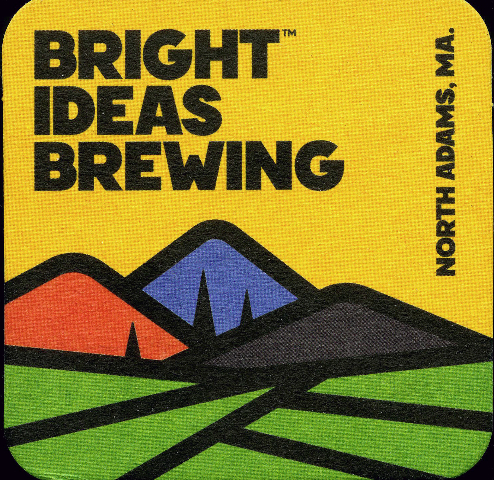 Bright Ideas Brewing is on the busy Mass MoCA campus just steps from the entrance facing a courtyard. There are a few outside tables to chill out on a summer evening. After a busy and exhausting work day on a Tuesday we arrived at 6 PM to knock back a couple of pints. Even though there was a relatively sparse crowd entering the brewery there was an immediate noise level impact. The sleek interior reflects the overall industrial décor and feeling of the contemporary art museum that draws some 300,000 plus visitors per year. But as locals it has the potential of being a popular destination for hand crafted beers. On that level we were not disappointed. Between the three of us we sampled a British pub ale, a brown ale, a Belgian brew and non alcoholic root beer. The brews were terrific and priced at $6 each with $3 for the root beer. What’s not to like. But we struggled to have a conversation and this on a slow night. That industrial décor may indeed be a Bright Idea but the hard surfaces, particularly the metal facing of a bar that runs almost the length of the space just bounces the sound around. The sleek ambiance may appeal to a young crowd looking to hook up. But for any real conversation they need to find solutions to tamping down the noise level. The business plan was to present a brewery with food either non existent or an after thought. The original idea was that you could order and have it delivered from surrounding restaurants of which there are a number. The fall back is a “food cart” in a corner of the space. It functions independently and has a few sandwiches and such. We ordered a wurst platter ($16) which was described as having three different kinds of sausage. It being early in the week, however, there was only bratwurst. Since we were having one each as a snack before going home for dinner that was fine. We also shared a small bag of beet chips ($3). There were other items, including barbecue chicken and smoked brisket, that were flagged as served on weekends. That was something worth coming back for. Just before seven I went to the bar for another round. I was served but told it was last call and that the brewery, which opens at 2 PM and misses the lunch crowd, closes at seven but stays open late (around 11 PM) on weekends. We watched while about eight customers arriving just after seven were turned away. Ok I can understand if business is slow early in the week but a five hour work day hardly qualifies as adequate business hours. Do they really want to attract a steady clientele? If I have a thirst and want to meet with mates mid week the newly renovated Mohawk, across the street from MoCA, is a better bet. It’s just another bar in terms of brews but is next to Grazie, an upscale Italian restaurant, and one can get takeout sent over. 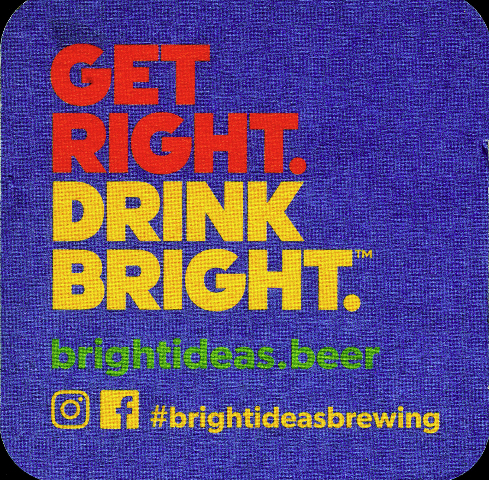 On a Friday night we were eager to join friends for a “weekend” experience at Bright Ideas. We arrived around seven and there were eight of us at a corner table. The noise level was ok as the brewery, surprisingly, was sparsely populated. This was a surprise as it is now high season in the Berkshires. We had a round of drinks, just beer, one of our party who only drinks wine, sucked on a glass of water. But she was a good sport and came to hang out. Approaching the food cart I was much anticipating the barbecue to share. But was told that there was just one piece left where the menu offers two. It’s hard to split one piece of chicken. Ok then, how about the brisket? Again, sorry, we don’t have any. But this is the weekend. You have specials on the menu. So it appears, Friday isn’t really the weekend. Perhaps Saturday is and maybe there are some leftovers on Sunday. Given this approach one wonders how long this brewery will remain in business? During high season there is a steady flow of tourists but after that they will have to rely on locals. While good for beer don’t go there if you’re hungry. Somebody suggested a cheese platter but there was consensus for a better idea. We moved on to the Austrian restaurant Haflinger Haus in nearby Adams. They have an attractive pub menu which is more affordable than the often sparsely populated formal dining room. The wonderful goulash, however, which used to be about ten bucks is now about fourteen. Bummer as is is one of my favorites. As usual the pub was packed. It often is even in the dead of winter. It's a full bar with several beers on tap. We were comfortably seated at a round table in the corner. It was a niche off the main action. I ordered the burger ($10), one of the best in the Berkshires, and everyone liked the food, ambiance and service. The chicken wings were a winner while the chicken tenders not so. On other nights we have enjoyed the mussels. For a gathering of friends it was the right move on a night that started all wrong.